The mini cheerleaders will cheer on January 19th during the halftime of the Varsity basketball game at NCHS. Any questions, contact Crystal Fulk at (740) 975-1519 or crystalfulk@nullyahoo.com. Parents and friends will be charged admission to the game. Registration and Money Deadline: January 9th Make checks payable to Newark Catholic Athletic Association. Please mail your registration form, waiver and payment to Crystal Fulk 1499 Highpoint Drive Newark, OH 43055. Congrats to all the students who made honor roll! Eighth grade students who are interested in attending Newark Catholic High School in 2018-2019 are invited to spend a day at Newark Catholic on Wednesday, November 8, from 9:15 a.m. until 1:30 p.m. For reservations and information call the school at 740-344-3594, Mrs. Jodi Snider. All students of Knox/Licking Vicariate are welcome to attend. Please see winners for this month’s raffle here. The Newark Catholic Girls Golf Team won the school’s first District Championship on Monday at the Darby Creek Golf Course in Marysville. The team shot a 346, winning by 28 strokes over a strong field! The team consists of Patricia Windholtz (who was also District Co-Medalist), Rachel Beichler, Kylee May, Emily Tyack and Anna Crumrine. The team will play in the 36-hole State Tournament at the Ohio State University Golf Club on the Gray Course on Friday, October 13 and Saturday, October 14. (Daily tee times have yet to be announced.) The course address is 3605 Tremont Road, Columbus, OH 43221. Cost for spectators is $10.00 each day. 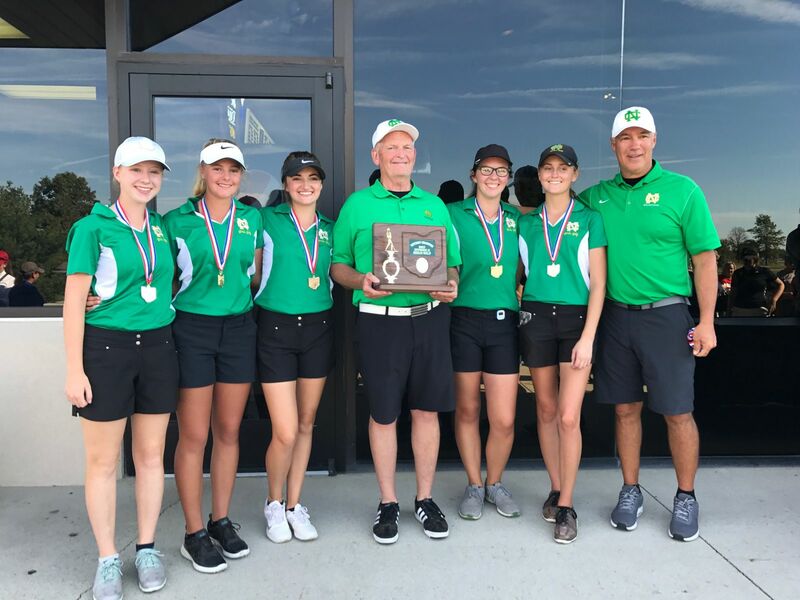 Please come see the Girls Golf team at Chipotle on 21st Street in Newark next Wednesday, October 11, between 5:00-9:00 pm to congratulate them on their accomplishment and wish them well at State! See Chipotle Flyer here.. The Newark Catholic Athletic Hall of Fame Committee is pleased to announce the names of those individuals who will be inducted and honored at the 2017 Hall of Fame Dinner & Induction Ceremony held at Newark Catholic High School on Saturday, October 21, 2017 beginning at 5:00pm. The 2017 Class of honorees to be inducted include Joseph Giles (‘74), Mark Mesewicz (‘88), Kea (Peterson) Musselman (’90), Doug Stevens (’04) and Jessie Tanner (‘05). In addition, Mike Massaro (’66), Ken Keck (’66), Gene Cornelius and Herb Murphy will be honored by receiving the Hall of Fame Award of Merit. Would you like to help us earn $1,000’s of dollars with just a few clicks? 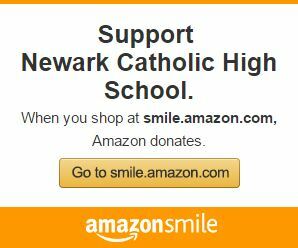 If you shop on Amazon, simply designate Newark Catholic High School as your charity of choice. Start now by clicking on the link below. their time of need. A few of our teachers have been in contact with one of the schools, St. Catherine of Siena in Port Arthur, Texas which was impacted by the disaster. After reaching out to them, they were eager to get connected with us. 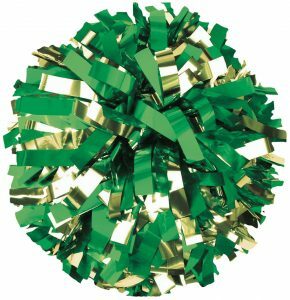 Newark Catholic is accepting MONETARY DONATIONS only. We plan to buy items for immediate needs as requested. Students and community members my drop of monetary donations starting TODAY thru Thursday September 21st. We will purchase requested items, box them up, and ship them down to St. Catherine of Siena. ALL DONATIONS GO DIRECTLY TO YOUR STUDENT’S ENGLISH TEACHER. We strive for our students to be devoted to being sensitive to others’ needs as well as being capable, responsible members of their families, church, community, nation, and world. This is a great opportunity to support this school and their families in time of need. We can’t thank you all enough for all your generosity and helping us help Texas. See attached Parent Letter here. 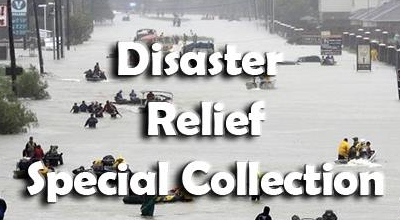 Take a peek at this short video which demonstrates the need and devastation in Texas.